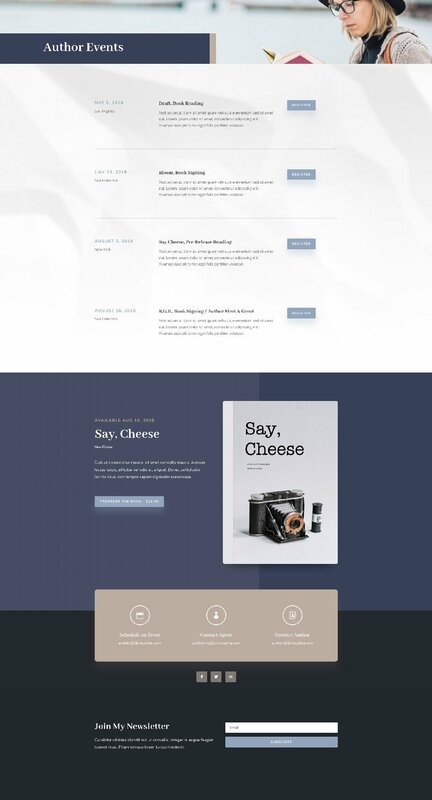 This week Kenny and his team have created an eye-catching Author Layout Pack. 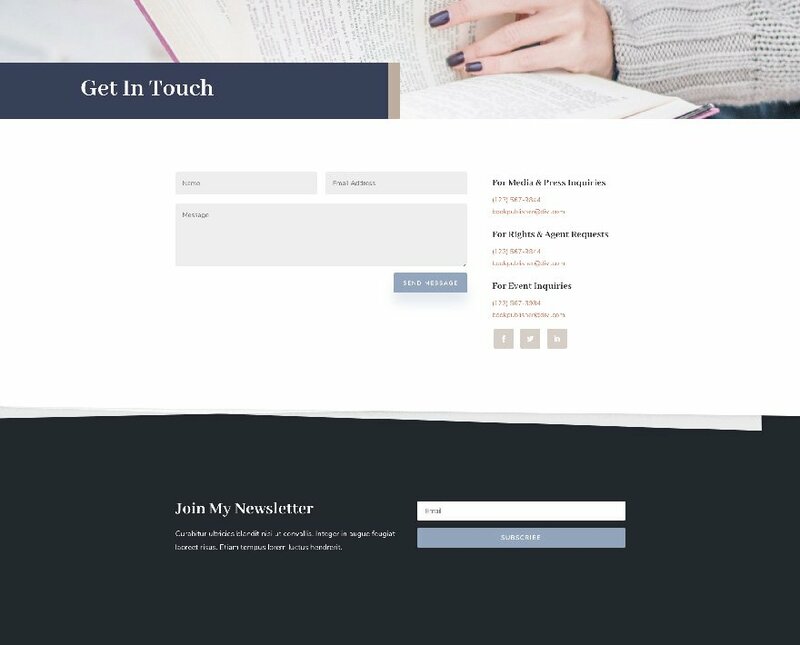 This layout pack includes 7 different layouts and focuses mainly on showcasing your books in the most elegant and professional way. You can also directly sell books on your website using the shop page layout that’s included. The author layout pack has everything you need to showcase your work in a professional and stunning way. Besides that, there’s also a shop page included that allows you to directly generate sales on your website. There’s a nice balance between showcasing the different books and putting the author in the spotlight as well. To access your new layout, simply activate the Visual Builder when editing a page and look for the “Load From Library” icon in the page settings bar (it looks like a plus symbol). Click this icon to launch the Load From Library popup. Under the Premade Layouts tab, you can easily find the new layout by scrolling through the list of layout packs. Once you find the Author Layout Pack, click on it. You will see all the individual layouts included in the pack. Select the layout you want for to use and then click the “Use This Layout” button. We hope you enjoy this layout pack. And to help ensure that you do, we’ll be doing a live stream on our Facebook page this Tuesday at 3pm EST to walk through how to add book previews to your website. 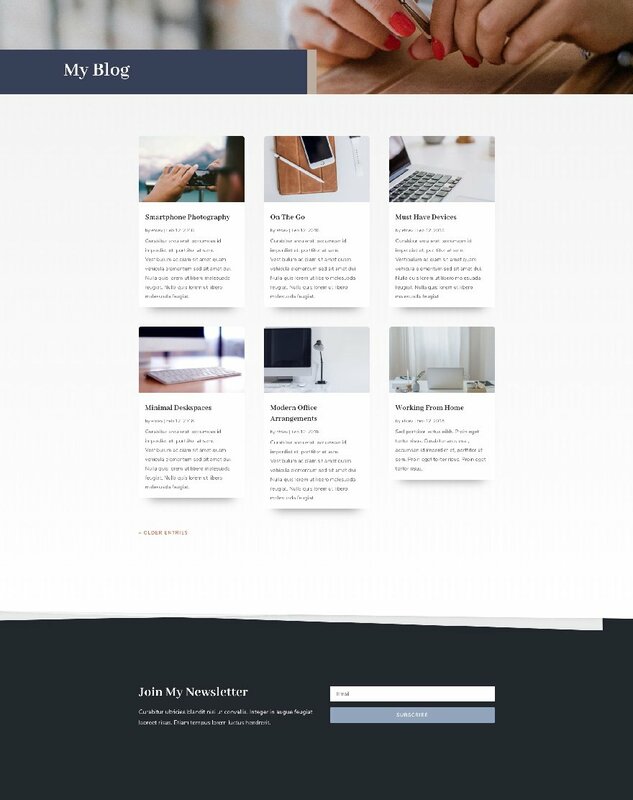 The post Get an Eye-Catching FREE Author Layout Pack for Divi appeared first on Elegant Themes Blog.